"How do we make sense of our stories—that odd collection of puzzles and pain, risks and dreams, gifts and passions that make up our lives? In Your Vocational Credo, Dr. Loyd leads readers through a series of questions to craft their own vocational credos. Readers will not only be able to articulate their own why, but also who on earth they are here for. This book is a sure guide to anyone wanting to live with meaning." "Too often a cacophony of voices tempt us to wander directionless toward no real purpose. Deborah Loyd cuts through the chatter and offers practical, sage and brilliant guidance. She is the person I trust to mentor others to discover their true voice and authentic vocation—the 'why' of our lives. This is an indispensable resource for leading others, and more importantly, finding our own way forward." "Hidden within the long unfolding story of our pain, passions, signature moments and longings lies a unique song that only you are meant to sing. This sagely writer can help you leave behind the mediocrity of a meandering, unexamined life and discover your God-given voice and the lyrics that are uniquely yours for the good of the world." "I know of no other person who is more qualified to write a genuinely transformational book on vocation than Deborah Loyd. Through her work of contextualizing the gospel for younger generations, she understands how to teach and translate God's wisdom in such ways that lives are deeply changed and souls are given hope. I anticipate that Your Vocational Credo will become a classic in its field." "It's a joy to see a book written about how we can love the Lord our God with all our vocation. Wouldn't it be amazing if we could grasp that our vocations are holy, sacred and just as important as pastoring or work at a church? Deborah is just the right person to be writing on this—she doesn't write from theory but from living it out. Your Vocational Credo can reshape how we spend the majority of our time, from something routine and predictable into something purposeful and missional." "Deborah Loyd is a genuinely remarkable woman. As such, she is perfectly suited to talk artfully about the destiny-shaping pursuit of finding one's personal calling and integrating it into life. This book brings needed compassion, color and depth to the serious process of vocational clarity." "In a world and church where many men and women of all ages and experiences settle for less and go through the motions of a job or ministry and doubt their passions and gifts, we are in desperate need of guides, mentors and encouragers who will help us get unstuck and find our way forward to live out who God made us to be. Dr. Deborah Koehn Loyd is exactly the right companion and catalyst for this journey. Packed with wisdom, real stories, biblical grounding and practical exercises, Your Vocational Credo is a much-needed tool for individuals, groups, churches and organizations. I know it will call many to life." "What I love about Deb Loyd's book: First, it can be read and used well by people of all ages, in all walks of life, who are willing to stretch to find their true selves. Second, while beautifully poetic in its language and form, it is also amazingly practical and down to earth. By the time you've read it, you know exactly what to do to effect the changes in your life that will bring you to a new phase of existence. My favorite quote in the book: 'God desires to repurpose us from being outwardly powerful to inwardly powerful.' As an older woman looking for a way to live the last decades of my life following Jesus even closer, this book is a must-read, and that quote is now up on my bathroom mirror!" "Do not be fooled by assuming this is an ordinary how-to book. Dr. Deborah Loyd offers a useful roadmap with some how-tos as a guide, but her point of reference is nothing close to ordinary. A woman whose leadership and mentoring is marked by sacrificial risk, by beating the odds, by plumbing personal pain, by giving up possessions and position—in order to honest-to-goodness walk with young people on the margins of society—has a voice that you won't want to miss. She continues to lead change as she shares her hard-won wisdom with those of us who may not be as likely to give all that she has, in order that we might be called more deeply into our own vocation and voice. This is the kind of authentic leadership the world needs. I am delighted to recommend the work of a dear friend, respected mentor, and visionary thinker and action-taker." "Deborah's voice is pure as she woos the reader into a place of vulnerability, allowing discovery of what one is all about and how distinctiveness is the key to unlocking meaningful work. This book addresses important shifts in culture as a generation seeks to rediscover vocation and calling rather than letting work be a means to an end. The reader should be warned, a vocational credo will upset the status quo and ignite personal transformation." "Deborah Loyd is the story whisperer. The tools she provides for understanding and interpreting your own story are invaluable. One of the most important things we can do for ourselves—and ultimately for others and for the world—is to know who we are and what our purpose is on this planet. Your Vocational Credo is a blueprint for making your way, and Loyd is a creative and gifted guide." "Deborah Loyd is a sage, creative and authentic voice who masterfully guides us to become all that we were made to be for the good of the world. Her process is accessible, rooted in real stories and inspired by her own life of courage and daring. I love this book for its practicality. If you want to move forward toward your deepest dreams, this book can help you take that next step." "How do we discover our vocation, find fulfillment in work, and use our passion and experience, while still paying the bills? 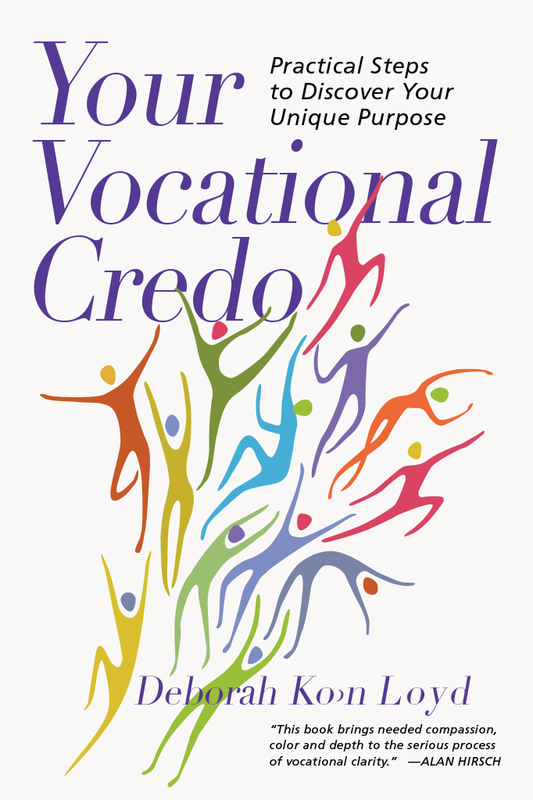 Whether you are young and just starting the vocational journey, or are later in life and discerning a new direction, Your Vocational Credo is an intensely practical guide designed to help you discover your 'why?' and live from a place of meaning and purpose. A must-read for anyone wading through the complexities of calling, occupation, work, fulfillment and earning. Deborah Loyd offers rich experience, inspiration and tangible resources to bring clarity to your search for true vocation." "Dr. Deborah Loyd is a voice to be reckoned with. She has a true gift of speaking into people's lives that is inspiring as well as empowering. I have not only heard her speak this message from a public pulpit, but I have also seen her live this message in her private life. Your Vocational Credo is a sage guide for those of us in the wilderness trying to sort out the story we find ourselves in. Dr. Loyd helps provide that guidance with unfiltered wisdom and generous grace." "There are many excellent books on vocation and calling, but few have the practical wealth found in Loyd's Your Vocational Credo. Her unique ability to navigate the complexity and mystery of this discernment journey with thoughtful steps, written clarity, useful tools and helpful stories makes this a must-read book. The book is hopeful, honest and a wise companion for anyone exploring their life's significant work." "First I would like to make this book required reading for every young person between the ages of, say, fifteen and twenty-nine. Then I'd like it to be required for everyone at midlife. Then, I think it should be given again to everyone at retirement. You couldn't ask for a better guide in asking that most personal and persistent of questions: What am I doing with my one and only life?" 2. What Is Vocation, Anyway? 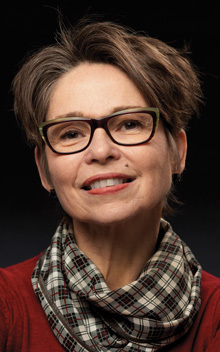 Deborah Koehn Loyd (DMin, Bakke Graduate University) is a professor, conference speaker, writer/blogger, and pastor. She is the Scholar Practitioner of Vocation and Formation at Warner Pacific College and an adjunct professor at George Fox Seminary. Her organization, Finding Forward, expresses her passion to empower people to find their voices and vocations. She is also co-creator of Women's Convergence, Women's Theology Hub, and The Bridge Church. Deborah holds an MA in exegetical theology and a DMin in transformational leadership. She lives in Portland, Oregon, with her husband, Ken, and they have three grown children and two beautiful granddaughters.